I recently discovered a folder named “Qoobox” on the C drive of my Microsoft Windows computer. It looked a bit suspicious. Upon further research, I discovered it was a part of an application called ComboFix that removed spyware from my computer a long time ago. So I could remove it, but when I tried, it would not delete. It threw an error that said “You have been denied permission to access this folder“. Here’s how to get past this message and delete the folder. 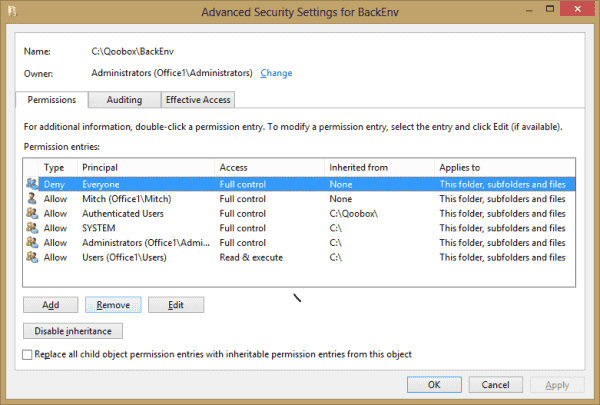 In my case, the BackEnv folder within the Qoobox folder had permissions that denied access to every user. This permission had to be removed with these steps. Right-click the folder that’s giving you problems, then select “Properties“. Under the “Permissions” tab, select the line that is set to “Deny Everyone” permission, then select “Remove“. Now try to delete the folder. 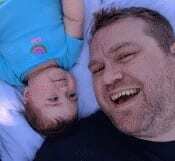 Windows should now allow you to remove it without error. Thank you Mitch,it worked just fine! There was no “Permissions” option in properties, only “General”, “Sharing” and “Customize”. Now what can I do?